You can find our ticket sales people between the beer tent and the food tent, you can’t miss them. Please make sure you have bought your tickets by 3.30 pm to be included in the draw – only £1 and a book for £5. We are a small family run business in the heart of Speyside. We are not a public centre and working on a bookings only basis we provide personal flying experiences which you can pre-book, and we welcome bookings from camera clubs and students for photography days, for groups, and organisations we can come to you. Having had a lifelong passion for birds of prey Speyside falconry is the realisation of our dream. Although we have family and other work commitments we are fully commited to our birds and pride ourselves on the care and attention they recieve, we work hard to ensure we are successful in everything we do. 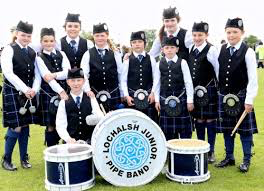 The Lochalsh Junior Pipe Band was formed in November 2007 when Niall Stewart, Schools Piping Instructor for South Skye and Lochalsh, organised a meeting for pupils and parents to discuss the possibility of forming a local Junior Pipe Band. 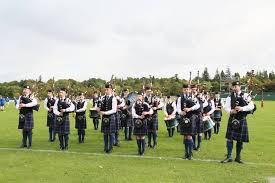 A committee was formed as a result of this meeting and the new band met in Plockton High School to practise the following week. 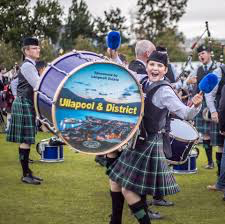 The band is made up of pupils who attend schools within the South Skye and Lochalsh area and currently has 16 pipers and 4 drummers. Since then band has performed at several local events. The band is self-funded and is actively fund raising. The band appreciates all the support it has received in the past and is still receiving from the local community. 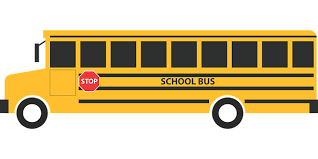 First bus leaves the Village Hall at 11:30 am calling at Lochcarron Hotel and Strathcarron Hotel then on the games site at Attadale. The return service will start at 5pm and stop at the same locations. Actual Bus may look different!! We are very grateful to the Scottish Salmon Company for their continuing support for 2018 whereby they are providing all the prize money for the Heavies as well as very generous supplies of fresh salmon for the Food Tent on Saturday 21st Julyso make sure you put the Lochcarron Highland Games in your diary now. You may enter as many events as you wish, please check event timings to ensure you do not double book yourself.